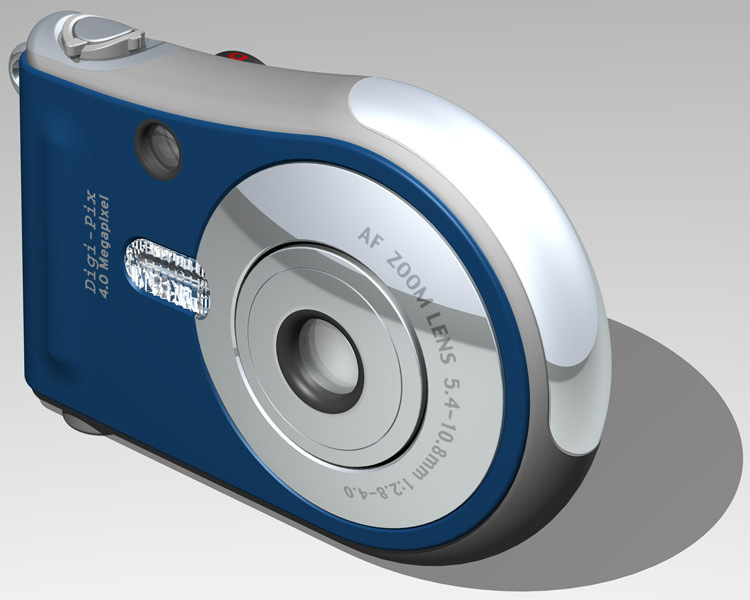 Nelson Au designed the Digi-Pix digital camera for the Design-engine 2002 Photoreal Electronics Competition in Ashlar-Vellum Cobalt 3D modeling software. He won the grand prize and gained validation for his commitment to working with tools that allow him to focus on his creative vision. As a senior designer for renowned industrial design firm IDEO, Nelson Au was accustomed to creating a 2D design and passing the profiles off to an engineering group to model it in high-end 3D software. But, like many designers, Nelson wanted more control over his designs. So, when Nelson looked for a 3D modeling program, he looked to Ashlar-Vellum Cobalt. He wanted to give the engineering team a working 3D model that truly represented his design goals, avoiding the usual changes that occur in the translation from 2D to 3D. I was not interested in investing an extended amount of time learning Alias or Pro-E; I was busy with my own design and management responsibilities. I loved Vellum’s unique user-friendly interface and was glad to find it in their 3D modelers, too. The Digi-Pix design was the first time Nelson had taken a project from concept to a completed 3D model with photorealistic lighting and graphics. From start to finish the design took about one week. Nelson Au is now an independent industrial designer. He began his career as a designer in 1984 with Matrix Product Design before it merged with David Kelley Design and Moggridge Associates to form IDEO Product Development in 1991. Nelson was a senior industrial designer and project manager with IDEO for 18 years. For more on Nelson’s award winning work, see our story Clearly a Great Design. Contestants from around the world entered Design-engine’s International Photoreal Electronics Competition. 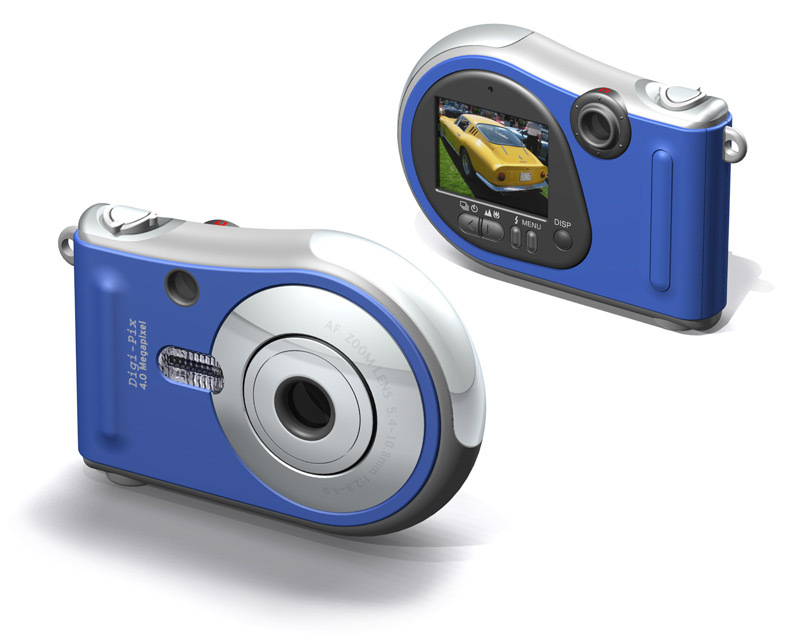 The expert Photoreal panel evaluated submissions on “photo-realism” and “innovation in design for modern culture.” Nelson Au won the grand prize for his DIGI-PIX digital camera concept, designed and rendered in Ashlar-Vellum’s Cobalt 3D modeling software.